What Wedding Venue Suits Your Personality Type? A wedding venue defines a wedding. The options available are so diverse and provide so many different options that it can feel overwhelming. It doesn’t have to be though, there may be a lot of choice available but the truth is there is only one venue that is perfect for you and your partner. To find it, you just have to be clear about the type of wedding you want and know what will suit your personality. In this post, we will explore the type of venues available and what works best for different personality types. Traditional doesn’t necessarily mean religious (although it can), someone that desires a traditional feel to a wedding will want it to feel grand and yet familiar. Hotel weddings are the perfect setting to create the traditional vibe because they are well practised in providing this service. Many hotels these days make their main income from the wedding industry and have perfected the service they deliver as a result. If you want a traditional wedding without any of the worry then look for an experienced hotel in your area. For those that want to have a marriage ceremony in a church then the combination of the two is the ideal solution. Many couples want to do everything under one roof though and still have that sense of tradition running through, a wedding ceremony and reception in a hotel is their resolution. Do You Love Open Spaces? Spending the day inside informal venues isn’t for everyone. Some people feel more at home in the great outdoors. If this is you, why spend the best day of your life cooped up when you could be in the fresh air? 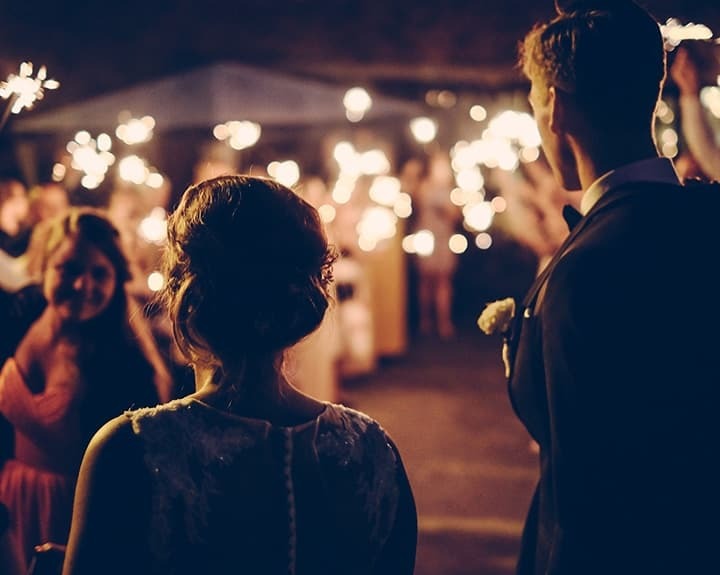 It is becoming more common for people to plan their wedding in much the same way as a festival, create a laidback atmosphere with a dance tent, a stage for entertainment and a BBQ to feed your festival going guests. Would you describe yourself as quirky, cool, unique or even cool? If you do then a traditional wedding wouldn’t feel right to you or your guests. You want something that represents your unique style. Look at warehouses or barns that provide a big open space that can be transformed to suit your quirkiness. A space like this can be seen as a blank canvas on which you can paint your own personalities. Do you visualise your big day as a glamorous affair, do you dream of sparkling your way through your wedding day with elegance and class. If so, a standard wedding just might not feel dazzling enough for you. Look at stately homes, they provide a grander venue than a hotel wedding and even have a royal feel about them. You only plan on getting married once so why not indulge and live your fantasy of reigning over your guests as king and queen for the day. Geek isn’t a bad word in today’s culture, geek chic is big business. If you love burying yourself in books or have a nerdy love of sci-fi or history then you might describe yourself as a geek. If both you and your husband share a geeky passion then creating a wedding theme around it will make your event unique and memorable. Look for a venue such as a library or a museum, especially if the museum has an exhibition that represents your interest as you can use it to enhance the theme. Many of these old public buildings are terrific grand spaces, full of beautiful architecture and buzzing with history; the perfect venue to start a new chapter in your life. Like all of these themes, this will only work if you both share the same passion if you both live for a sports team and are known for your love of sport then bring it into your big day so it feels more personal to you. Many sporting venues now rent themselves out for events and some even have licences so you can actually say I do on the sacred ground. Look into your favourite sporting venue and see if it can be the place where dreams really do come true. No matter how you choose to get married, no wedding will be the same as yours. You are two unique people with a unique guest list but bringing your own personality into the event makes it feel more special and gives you more of a sense of ownership over the day. There are other ways to show your unique personalities including the food, the outfits and of course the music. Here at UK Mobile Discos, we are proud to provide a reliable, high quality and affordable DJ service. Request a no-obligation quote.